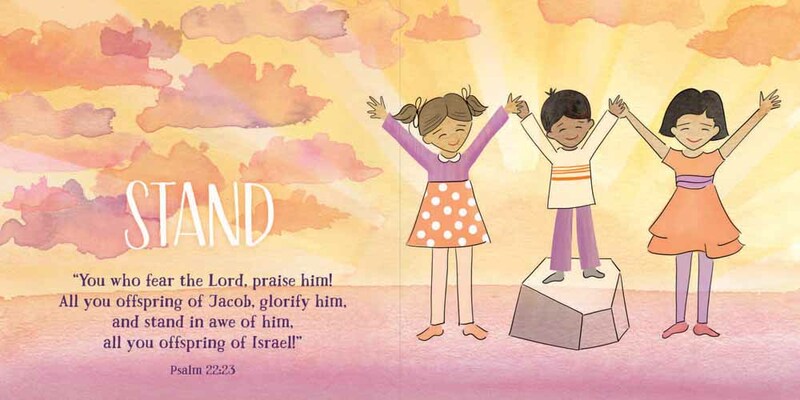 Children Use Their Whole Bodies to Praise God! Your family will love this unique board book! 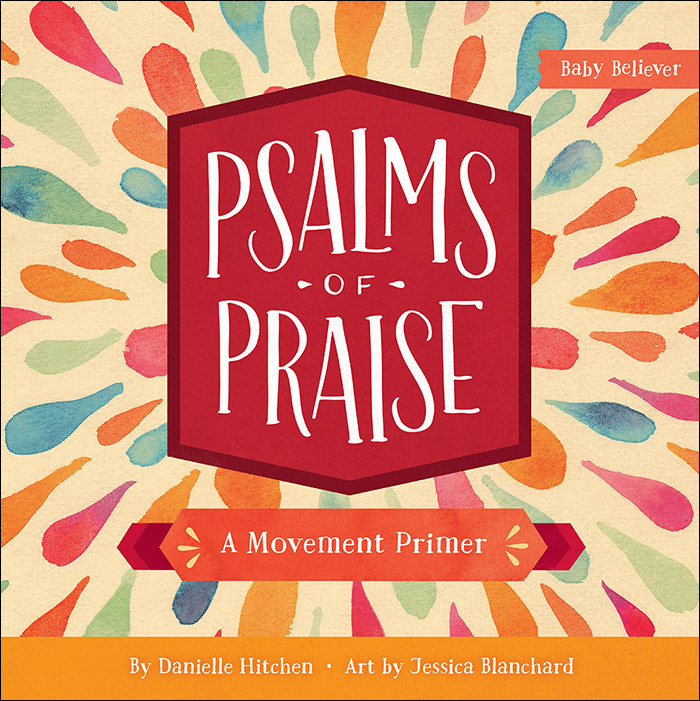 Using colorful, engaging artwork, Psalms of Praise introduces little ones to the lyrical Scripture of the Psalms while illustrating how our everyday movements are actually postures of praise. 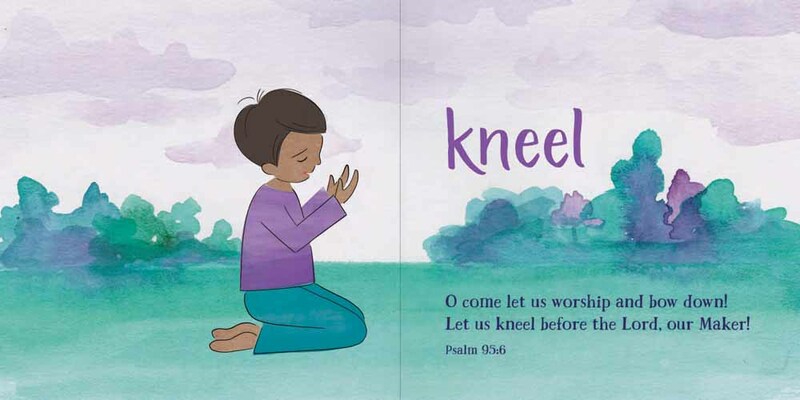 Children will delight in the beautiful illustrations and learn how the fun ways they naturally move their bodies are an important part of worship. The movements of Psalms are coupled with both calm and joyful texts taken straight from the Bible. 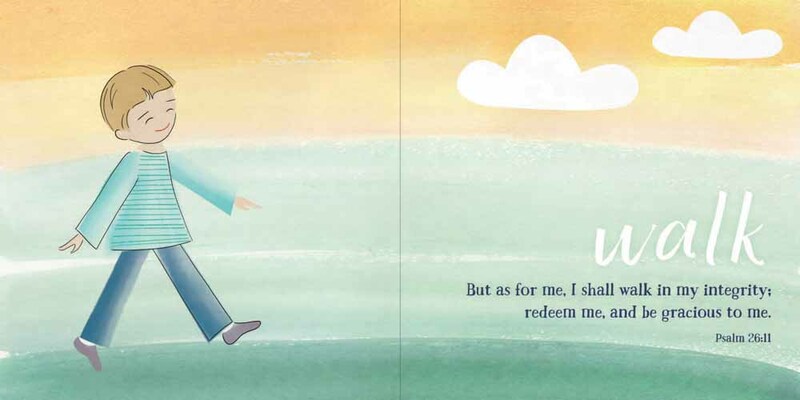 You will appreciate the artistic design, theologically sound content, and helping your little one understand the true purpose for which his or her body was created - praising God!